The entry window for the 13th Annual Wayne Art Center Plein Air Festival will be open between December 1, 2018 and March 1, 2019 at www.callforentries.com. The festival will run from May 13th through May 18th. Resulting work will be on exhibit at the Wayne Art Center through June 29, 2019 in the Davenport and Ethel Sergeant Clark Smith Galleries. This annual national juried exhibition is dedicated to enhancing the public’s awareness of the vibrant world of contemporary outdoor painting while providing a venue for established and emerging artists to create and sell their work. He has been featured in the Washington Post Sunday Magazine, The Artist’s Magazine, American Artist, Southwest Art and Plein Air Magazine. 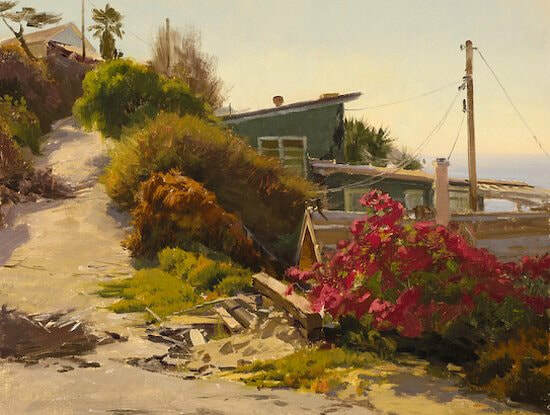 Paquet’s awards include both Artist’s Choice and Collector’s Choice from The 2007 Laguna Beach Plein Air Invitational, as well as the 2008 Alden Bryan Memorial Prize from The Salmagundi Club of New York, the First Place in Landscape from the Richeson 75: Artist’s Choice Competition and The Edgar Payne Award for best Landscape at the 97th Annual Gold Medal Show at the California Art Club. Paquet is a Emeritus Member of The Plein Air Painters of America, The Salmugundi Club and a Signature Member of The California Art Club. Email notification of juror’s acceptance and decline selections for the 13th Annual Wayne Art Center Plein Air Festival. Morning arrival of artists for registration, canvas stamping and breakfast. Wayne Art Center 13th Annual Plein Air Festival Collectors’ Soiree at Wayne Art Center. 6 – 10pm. We are pleased to announce $20,000 in prize awards this year. The juror, Joe Paquet, will announce the award winners on May 18, 2018, during the Collectors’ Soiree. Entry is open to plein air artists in all painted media. Registration is from December 1, 2018, to March 1, 2019. Entries must be submitted online through Call For Entries. The entry fee is $45 and must be paid by PayPal, credit card or personal check. All entries must be paid in full by March 1, 2019; unpaid entries will not be considered by the juror. Artists may submit up to four paintings representing their body of work. Professional digital images must be in JPEG format at a minimum of 300 dpi, no larger than 1800 pixels on the longest side. Works submitted must have been completed after January 1, 2016, and must be authentic plein air style paintings that were not completed in the studio. The artist contact email provided on the online application must remain active during the submission and exhibition process. 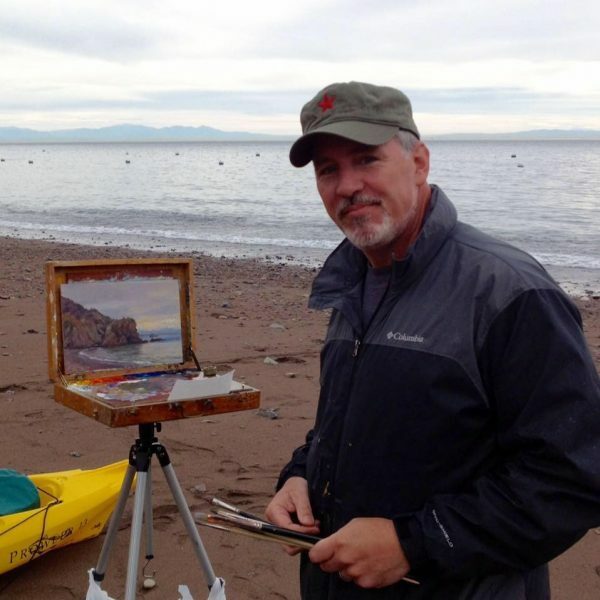 The artist is responsible for checking their email for acceptance and/or decline and other information regarding Wayne Art Center 13th Annual Plein Air exhibition. No paperwork or communications will be mailed regarding acceptance and/or declined information. Please check your spam or junk email if you have not received word about your acceptance or declined submission. Plein Air artwork created during the festival must be available for sale. There is not a threshold for artwork pricing level. Please note that price of artwork may not be changed after drop off to Wayne Art Center (WAC) during the festival week. WAC will retain 40% commission of the sale price. All works commissioned during the Plein Air exhibition will be treated as sales. All work will be insured for 60% of sale price while in WAC facility. WAC will not be responsible for loss or damage to work in transit to or from Wayne Art Center. Wayne Art Center will not responsible for loss, theft or damaged work after 30 days of the last day of show, June 29, 2019, due to artist failing to retrieve exhibition work. Wayne Art Center will provide accepted artists with complimentary accommodations in a patron’s private home during the Festival week. Artists are welcome to make other arrangements at their own expense. If you have any questions about the exhibition, please contact Patti Hallowell. If you have any technical questions about the online system, please contact Cafe@westaf.org.